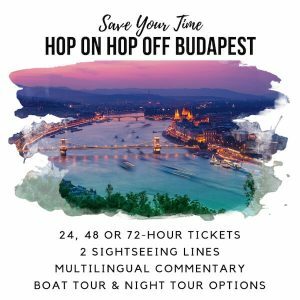 How to Get from Budapest Airport to the Centre Using Bus, Metro, Taxi, Taxify, or Train! Expert Advice from Canadian Expats Living in Budapest. Location: Technically about 10 miles (16km) but to the center, it’s more like 13 miles (21km), southeast of the city. The airport closed its Terminal 1 in 2012, so Terminal 2 is split into two sections, Terminal 2A and Terminal 2B. Since it is in the same building, connecting between the two if you are transferring, or got dropped off at the wrong one, is easily walkable. As with any major international airport, there are plenty of options for getting to and from the airport. The airport has implemented official transport companies, such as Mini BUD shared mini bus service, to help ease the stress of arrival. Use the links below to jump to the section that interests you most. 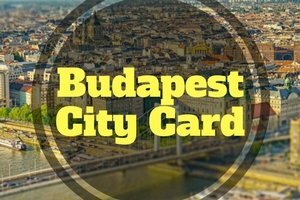 Pick up a Budapest City Card and enjoy unlimited use of public transit for the duration of your card. You’ll also get complimentary tours, free admission to the Hungarian National Gallery, Memento Park, Luk?cs Thermal Baths, and more. You also get deep discounts at many other attractions and restaurants throughout the city. Bus 100E is a convenient and efficient express bus running between Budapest Airport and the city center. From Budapest airport, it runs every 20 minutes between 05:00 and 01:20, and takes about 40 minutes. Bus 100E is not included in a regular public transit ticket. The special ticket costs 900ft (~$3.50US) per person. At the airport, you can buy a ticket from the BKK offices inside the arrivals hall, from the ticket machines near the bus stop, or from the driver. If you plan to buy from the driver, you’ll need exact change. The BKK office and ticket machines accept card payments. Going from Budapest Airport to the city center, Bus 100E bus stops at Kalvin ter, Astoria, and finally Deak Ferenc ter. Stops are announced on the bus. Get off at Kalvin ter for the M3 or M4, and Astoria for the M2. Deak Ferenc ter is the final stop. Here, you can connect to the M1, M2, and M3. Deak Ferenc ter is a large public square with plenty of shopping and dining. 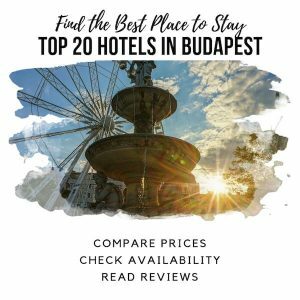 Many of Budapest’s luxury hotels are in this area, and it’s about a 10-minute walk from the Danube promenade and the Chain Bridge. 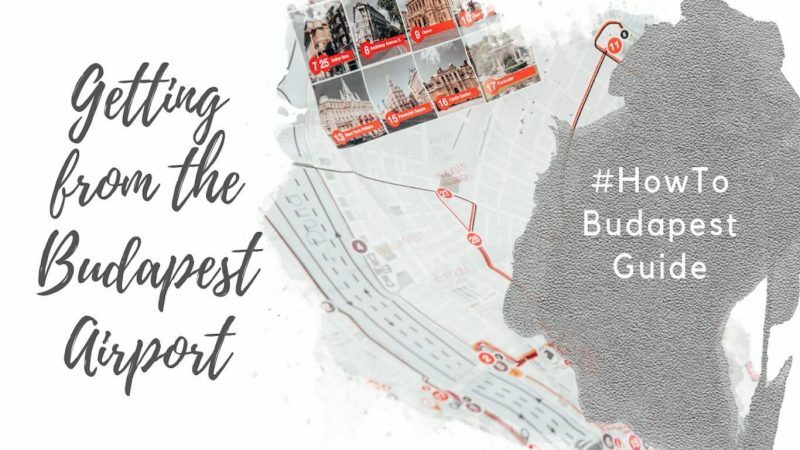 Click here to see our full Budapest public transportation guide. Note: This route requires a transfer to Metro Line 3. The M3 is currently being refurbished, which effects its operations. We recommend checking bkk.hu/en before you arrive in Budapest to get the latest updates on this route. Bus 200E is a regular bus route running from Budapest Airport. Unlike the Airport Express Bus (100E), you can use standard public transportation tickets. A single ticket is 350ft (~1.35US). To save money, you can buy them in 10-packs for 3000ft. You can also buy 24hr, 72hr, weekly, and monthly transit passes. To get from Budapest Airport to the city center using this route, you’ll need at least 2 tickets. Bus 200E runs from the airport to Kőbánya-Kispest, which is the end of the Metro line 3, (M3). This journey requires one ticket. When you arrive at Kőbánya-Kispest, you’ll need to transfer to the metro. For this, you’ll need to use a second ticket. Once you are on the metro, you can transfer to other metro lines without requiring a new ticket. If, however, you need to transfer to a bus or tram, you’ll once again need another ticket. Can You Take the Metro from Budapest Airport? Unfortunately, the Budapest metro does not run all the way to the airport. If you want to take the metro, you’ll need to take Bus 200E (see above) to Kőbánya-Kispest on the M3, and then transfer. A shared ‘door to door’ mini bus service called MiniBUD is the official airport shuttle. You can pre book on their website ahead of time, but it’s not necessary. 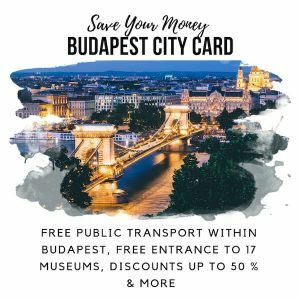 Expect to pay about 2700ft (~$10.65US) per person from the airport to Budapest’s city center. The exact cost will depend on your destination, and you can book one-way or return travel. 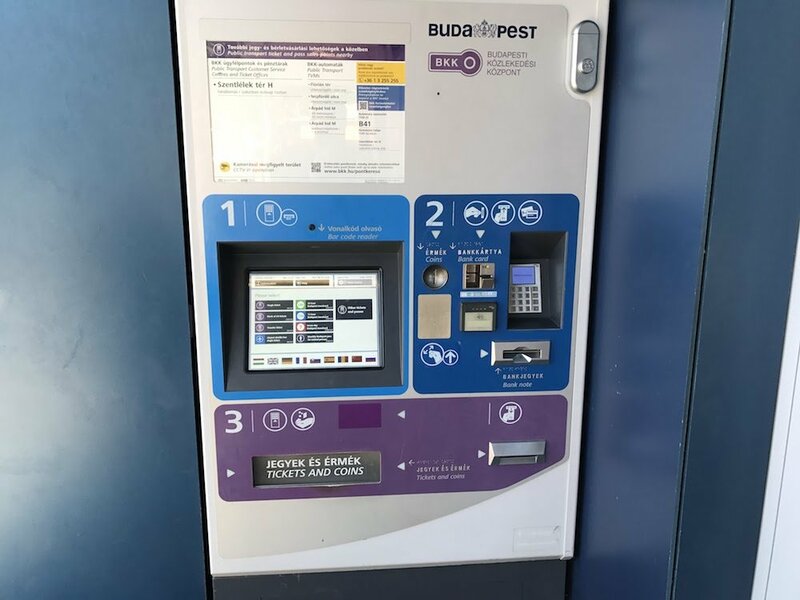 When you arrive at Budapest Airport, you’ll find a MiniBUD kiosk in the baggage claim area. There’s another kiosk and waiting area after you exit baggage claim. Staff speak English, and will need the name and address of your hotel. Once you pay, they’ll give you a receipt with a reference number on it. Reference number in hand, head to the MiniBUD waiting area (after baggage claim). Look for the large screen. When you see your reference number displayed on the screen, walk outside to find your minibus. Unfortunately, there is no way to tell ahead of time how busy MiniBUD will be. They group passengers into the same shuttle based on destination. You may luck out and get a shuttle immediately. But you could end up waiting up to 45 minutes or so. There are washrooms while waiting. There is also a cafe next to the waiting area, but know the driver will not allow you to bring your coffee in the minibus! The MiniBUD shuttle vans take up to 8 passengers at a time. Drivers will help with luggage. Expect the drive to take between 30 and 45 minutes, although it depends how many stops they have to make before your stop. This service runs 24 hours a day. If you’d prefer to transfer in a private vehicle from the airport, there are a few reasonably priced options. Click here for more information. Expect to pay $44.98 per group of up to 3 people, with extra charges for additional passengers. From Budapest Airport, you have two options: taking an Uber-like service called Taxify, or taking a traditional taxi. If you’re used to using Lyft or Uber to get from the airport, you’ll notice they don’t operate in Budapest. However, there is an app you can download called Taxify which works very much the same. All reservations and payments are done through the app. Technically, Taxify is its own competing taxi company. Their cars look like traditional taxis. They are modern, bright yellow, and marked with the Taxify logo. From a customer experience perspective, however, they work just like Uber or Lyft. Taxify can be used anywhere in the city, including the airport. A taxify ride from Budapest airport to the center will cost roughly 6800ft – 7500ft (~$26.50 – $29.50US). This is a popular service among the expat community here, and it’s what we use when we need a taxi. If you plan to use Taxify, we recommend you download the app and set-up an account before you arrive in Budapest. You’ll also need cell data or Wifi. If you’re new to Taxify, use the promo code wndr2th to get a bit of credit towards your first ride. Aside from Taxify, there are a few standard meter taxi companies that operate here. Of these, Fötaxi is the only officially-recognized company allowed to operate at Budapest airport. Fötaxi has reservation booths located at Terminal 2A and 2B. Go to the agent at the booth, give them your destination and they will print a voucher with an estimated total. We’ve used this several times, and it’s convenient and fine. You will pay the driver at the end of the trip, and cash or credit cards are accepted. The trip should be around 6800ft – 7500ft (~$26.50 – $29.50US), depending on traffic. This is the least popular and least convenient option for most travellers. But it is an option, so we figured we’d cover it. Who knows? Maybe you’re a train enthusiast! Bus 200E stops at Ferihegy Train Station, which is about 3 miles (5km) from the terminals. From there, trains run frequently to Nyugati Train station in Budapest’s city center. Total travel time is about 30 to 40 minutes. Train tickets can be purchased at the ticket counter or at vending machines. If all else fails, you can buy your ticket on board when the conductor comes around. A second class ticket should be 370ft (~$1.46US). Thanks so much for all the well presented info.I have been debating between a package tour and one I put together myself..and all your info definitely will help me make a decision.